The older brother of the UNI sectional warper series allows high productivity and great power without neglecting precision and quality. 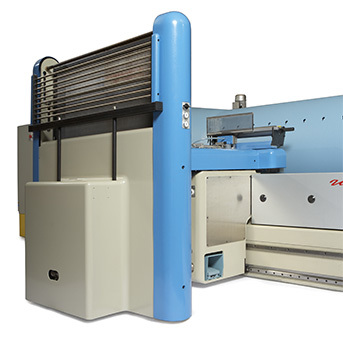 The technical team of COMSAT has developed a sectional warp for folding machines of up to 1250mm maintaining the versatility presented by sectional warpers of the UNI series, suitable for applications where large tensions and large diameter folds are required. The fast synchronised machine movements, in conjunction with the high warping and beaming speed provides maximum productivity. Allows warping of a diverse range of yarns from the coarsest to the finest. 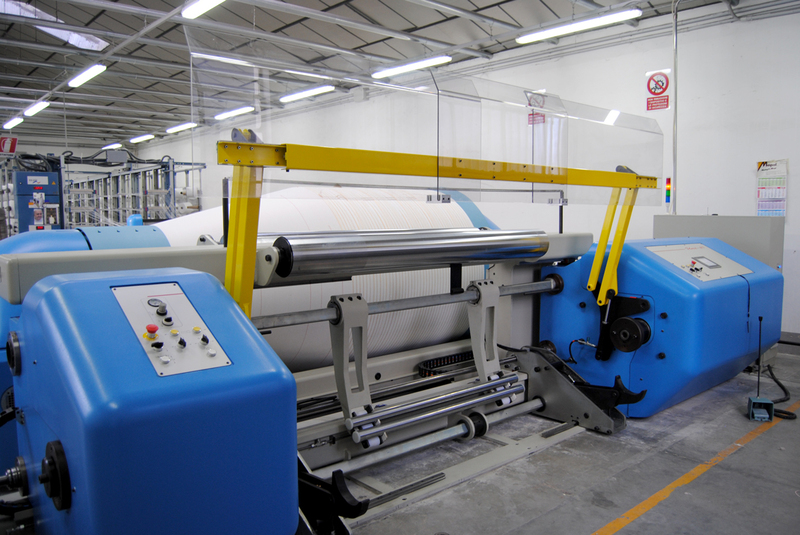 The automatic warp section tension device, guarantees an identical length and tension of the yarns independent of the bobbin diameter and the warping speed. 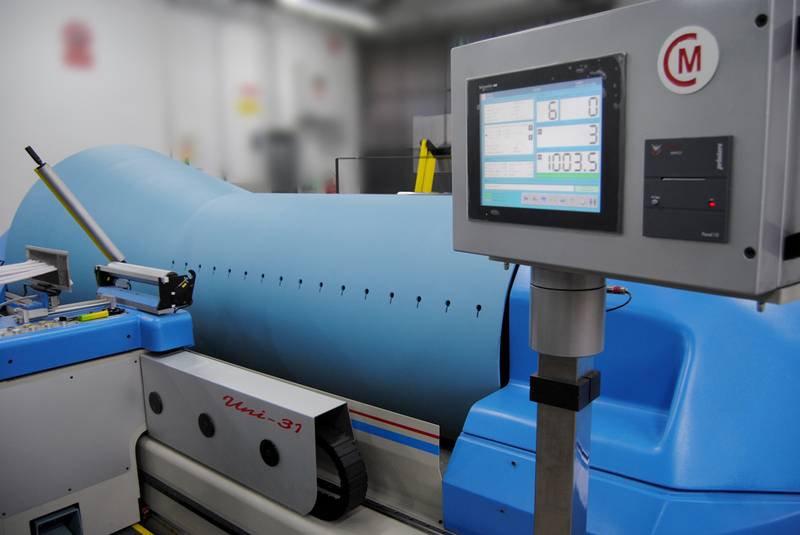 Allows speed changes in the middle of the warping process. Keeps the tension constant during the acceleration and stop of the machine. 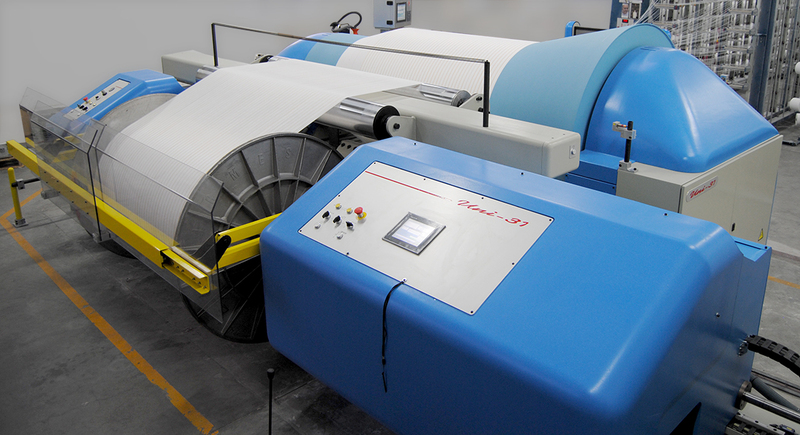 The high precision of the warping table assures a quality warp. Minimum variation of the warping section. Easy access to the control panel. Through an effective system of hydraulic brakes, a fast stop action is obtained, minimizing the loss of yarns inside the warping drum. The split up of the warp stop motions installed on the creels speeds up the warper stop when a yarn is broken. The broken yarn memorisation in the warping process and its repair in the beaming process, avoids warping defects when a yarn is lost on the drum. 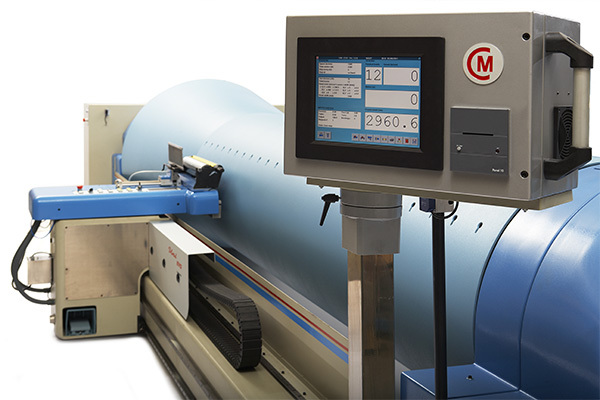 Completely automatic feed determina-tion, without the need for any previous calculation or the need to introduce parameters with regard to the yarn nature. 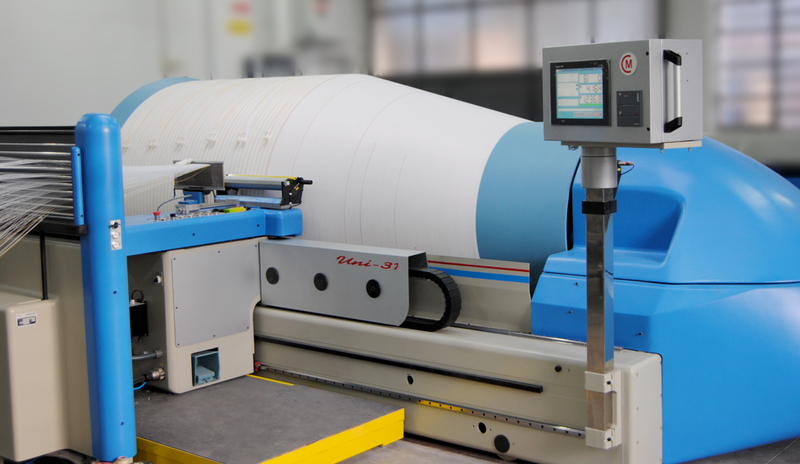 Together with the evener roll, identical warp sections with the same diameter are obtained. 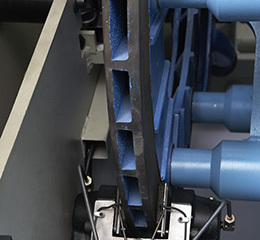 With the automatic beaming tension control, a constant tension during the whole beaming process is assured without affecting any external factors. Allows speed changes in the middle of the beaming process. 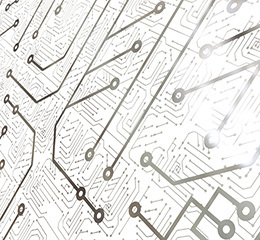 The latest architecture of process control enables new applications. Intuitive and user friendly software. 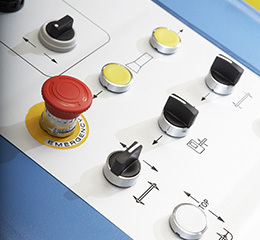 Incorporation of a second touch screen on the beaming unit. Internet connection for remote diagnostics. Connection to a local network for a whole visualization of the process, allowing the transfer of reports and real time data. Using the simple system of recipes built into the software of the machine, it can accurately reproduce previously produced beams. Reduced machine set up times. 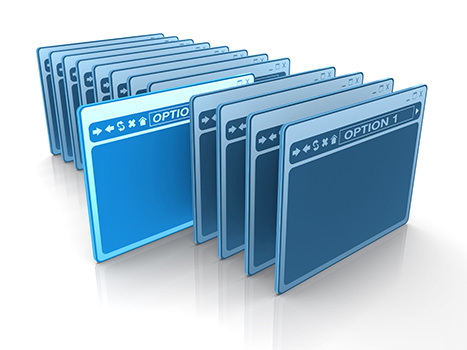 Eliminates the possibility of faulty data entry. Partial stops in the beaming process for placement of separation markers. Minimum turns at slow speed during the final section thanks to the drum inertia compen-sation. 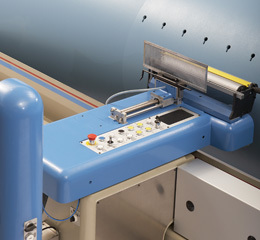 Alignment of the warping table to reduce the angles of the yarns coming from leasing device. Possibility to modify the feed during the first section. All functions are performed with maximum safety.